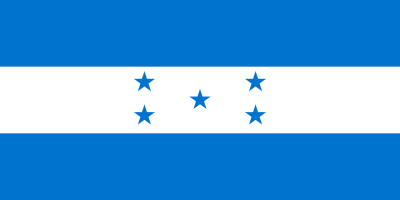 Last year, the group Global Witness named Honduras as the world’s deadliest country for environmental activists. 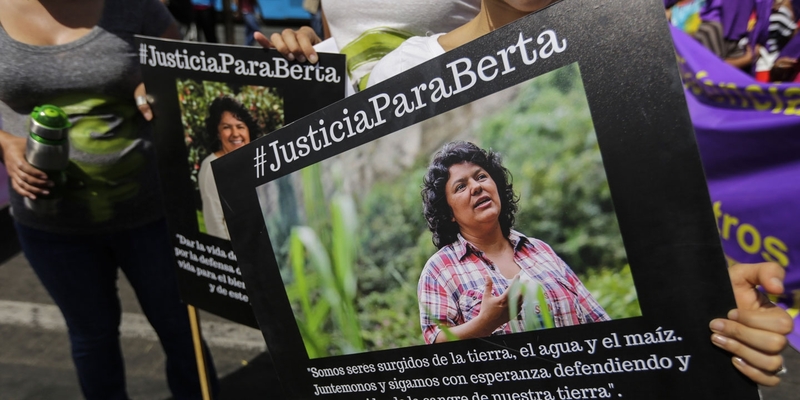 “There is a straight line between environmentalist activism and assassination in Honduras,” said Dr. David Wrathall, a United Nations University geographer who studiesHonduras. Over the last decade, Central America has become awash in drug money, Wrathall says, which frequently ends up entangled in large-scale agriculture and development projects such as dams. Whereas powerful landowners, businesses, and politicians have resorted to violence against activists in the past, now these actors have more illicit enterprises and transactions to hide, coupled with unrestrained capital and a reserve army of hit men,” Wrathall said. “So it’s anti-environmentalism (literally) on drugs. Honduran soldiers guard 15 tons of seized cocaine in Patagallina, in the department of Yoro, some 300 kilometers north of Tegucigalpa, Honduras, on Nov. 29, 2012. 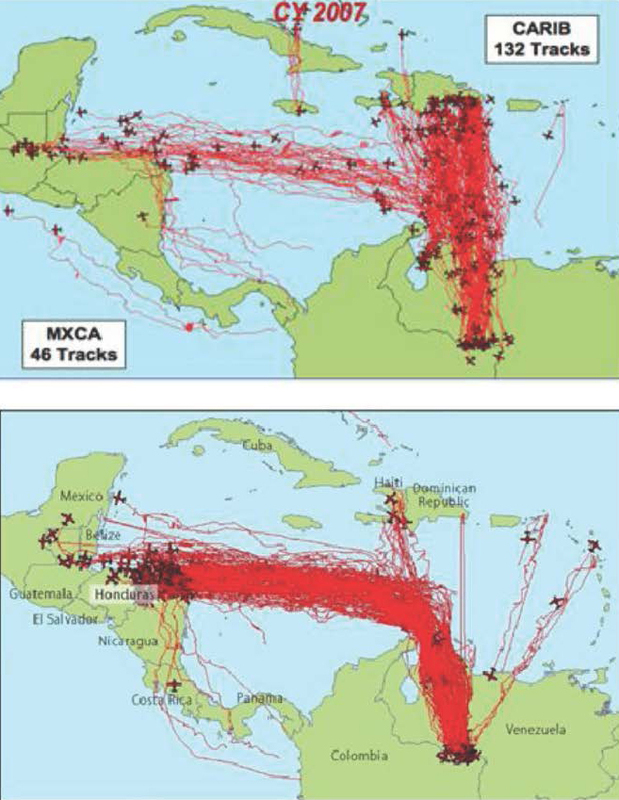 Cocaine has moved through Honduras for many years, but the quantities of the drug entering the country soared in 2007 when the U.S. succeeded in squeezing shut the old route from South America through the Caribbean and Mexico. Now, according to a recent State Departmentreport, about 90 percent of the cocaine destined for the U.S. passes through Central America and Mexico, and the Northern Triangle (Guatemala, Honduras, and El Salvador) has some of the highest homicide rates in the world.